We’ve used 2016 information on population. 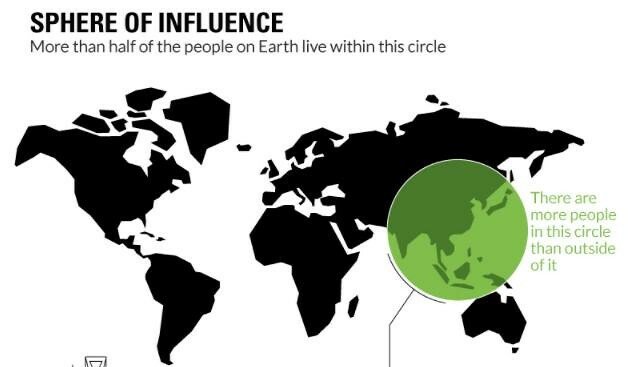 There are now at least 3.8 billion people living inside the highlighted circle, and that’s not even including the tally from countries that are partially in the circle like Pakistan or Russia. As we contemplate concentration, we might recall that it was on this date in 1880 that Greenwich Mean Time (GMT)– the mean solar time at the Royal Observatory in Greenwich, London– was officially adopted by Parliament. Originally set-up to aid naval navigation (in the calculation of longitude), Greenwich had been the national (and imperial) center for time since 1675. 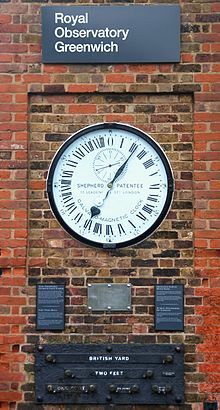 In 1847, GMT became the standard for British Railroads, and quickly became the de facto standard for all other purposes. The 1880 Act simply made de jure what had become de facto. GMT became the international civil time standard, but was superseded in that function (in 1960) by Coordinated Universal Time (UTC).